What are some things that you cannot do without? If I were to give you a surface level answer I would tell you the things that I would not want to live without I would tell you things like the Cleveland Browns, Coke Zero, chocolate chip cookie dough, Air Jordans, and Moe’s Southwest Grill. Could I live without those things? Sure… I’d survive. At least I think I would. If I were to answer you a bit more seriously my list would be much shorter. I would tell you the things that I could not survive without would be Jesus, my wife, and children. That would be about it. 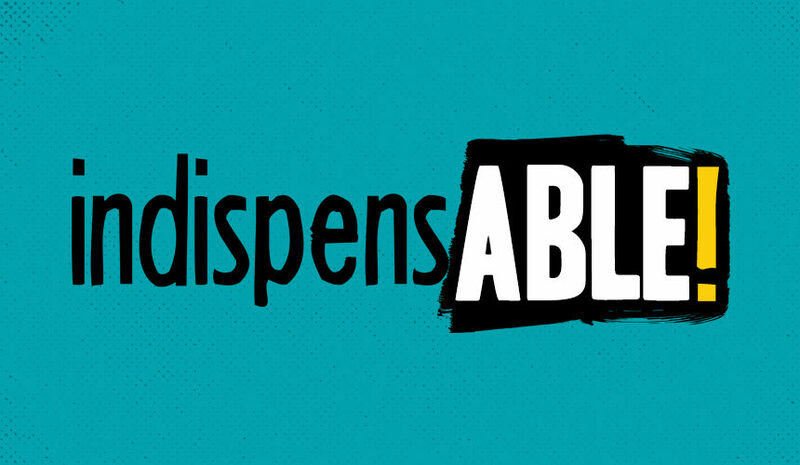 I love the word indispensable. It is a big word with rich meaning. It isn’t a word that we would typically use in our normal vernacular which makes it even more special when you do use it. The word indispensable is an adjective. An adjective is a word that describes a noun. The word indispensable means: absolutely necessary or something you cannot do without. What is the type of things that we would identify as life-and-death? It again is a short list. Some things that would definitely make the list of life-and-death are air, water, food, clothing, shelter, love. What I find curious is that we only find the word “indispensable” twice in all of Scripture. In both references, the word indispensable is used to refer to things that the Church cannot survive without. If you were to guess you’d probably come up with things like Jesus, leadership, great preaching, vision, moving worship experience, excellence, servanthood, prayer, etc. If you guessed any of the things above you’d be wrong. But wait! How can the church possibly survive without great leadership and vision? I get it. Those are pretty important. However, if you read through Paul and his description of the Body of Christ in 1 Corinthians 12 you will find that only two things are classified as indispensable. This first reference can be found in 1 Corinthians 12:22. On the contrary, those parts of the body that seem to be weaker are indispensable. We all understand that when Paul is speaking about the Body of Christ he is using figurative language about the Church. No people group fits the description “seem to be weaker” better than people affected by disability. 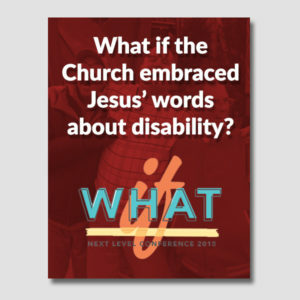 The Church cannot survive without people affected by disability. This is a bold counter-cultural statement. 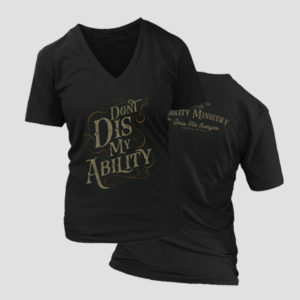 All throughout time people with disabilities have been viewed as weak, lesser than, and disposable. We know that this is not how God views people with disabilities. People that live with disabilities are NOT weaker. They valued by God and created for a divine purpose. Unfortunately not only has society pushed aside people affected by disability but so has the church. Paul is adamant that this not be the case as he uses the word indispensable to describe their importance to the church. 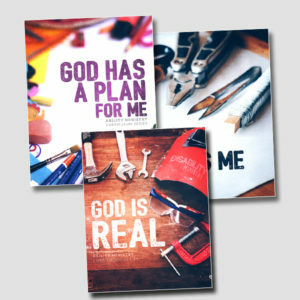 The question is why have churches overlooked this bold statement for so long? 1 Corinthians 12 is all about the church. Paul writes on spiritual gifts that are present, unity, and diversity. He sums up the chapter by making the only other mention of the word indispensable in all of scripture. It is his way of saying this is the only other thing that the Church cannot do without. This is the only other thing that the Church needs to be successful. This is the only other thing that can make everything else work. Paul says, “Love is indispensable” in verse 31. Love is what makes everything work. If we don’t love each other than we will be left fighting over spiritual gifts. If we don’t love we won’t fight for unity. If we don’t love diversity won’t matter. Love binds us all together. Love makes possible what is otherwise not possible. So the two things that Paul says the Church cannot survive without… people that seem to be weaker (people affected by disability) and love. That is a very short and specific list. What if churches embraced this idea. What if they were more concerned about these two things than they were about great preaching, excellence, moving worship experience, etc.? For me, it is a matter of the heart. If we care about the things that God cares than I believe the rest will fall in line. If we love ALL people well the rest of what we do is secondary. How would you rate your church on Paul’s list of things that are indispensable to the Church? Are people affected by disability embraced by your church and serving in your church? How well does your church love ALL people? May this list of indispensable things be a challenge for you this week. If you answered no or not well to either question above, don’t hesitate to contact us. 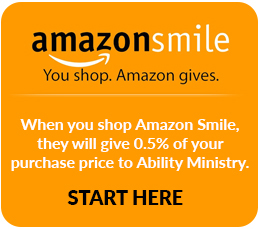 We would love to help you better embrace people affected by disability so you too can be a complete church.